Desi Smith Photo. 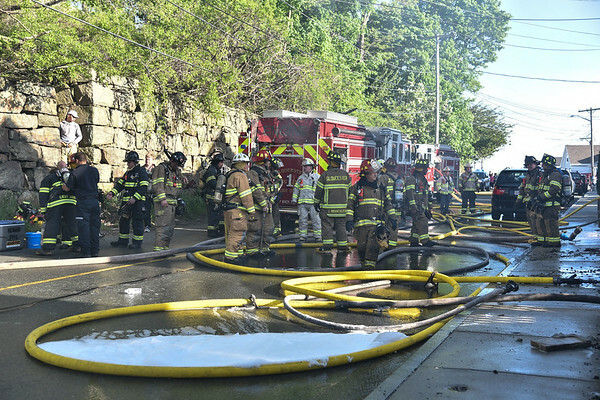 Gloucester firefighters along with Rockport and other towns used foam and water to knock down a fire that startied at 76 Centenial Ave and spead to the house next dooor Saturday afternoon. The owner had just left before the fire started. No one was injured. May 20,2017.